Leah DePasquale, senior, is amazing at many things. For one, her academic career thus far is outstanding. DePasquale was accepted to Purdue University for the 2018-2019 school year to study biomedical engineering and has a 4.4 GPA. 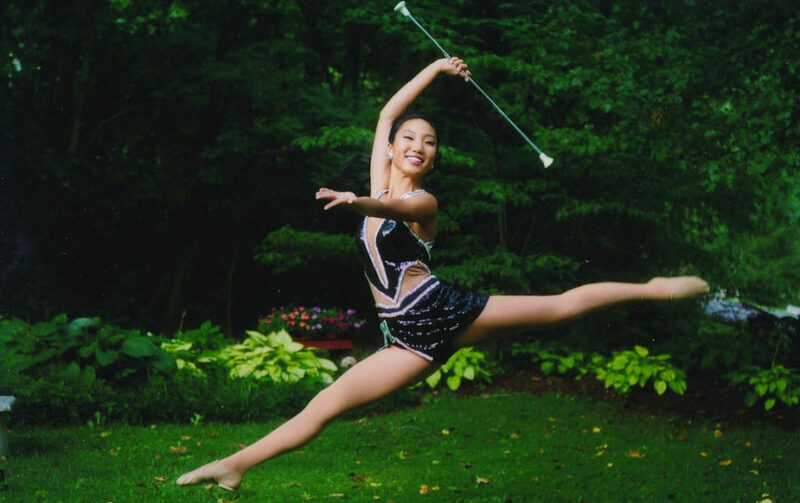 Second, she is the featured twirler on the Majorettes, Mehlville’s twirl team. She has even earned a spot on Purdue’s twirling team, which is very prestigious in the twirl world. And third, she is a genuinely strong human being. This was proven during DePasquale’s sophomore year when the unthinkable happened, changing her life forever. One night in 2015, DePasquale woke up with sharp pains in her right side. Her and her family rushed to the hospital, assuming it was appendicitis causing the pains. After many scans, they found that DePasquale had a tumor in her uterus. “Me and my family were really thrown for a loop. I was only 15 years old, and I really had no idea what was going on,” said DePasquale. The doctors told DePasquale that she had a fibroid tumor, which is very uncommon within Asian women and usually appears in women that are around the age of 40. So when DePasquale, a 15 year-old Asian female was diagnosed with this type of tumor, many doctors were surprised and had never seen a case. The hospital lead them to a gynecologist, who then lead them to yet another doctor, who then told Depasquale that she had Colitis as well as the tumor, which is when the inner lining of the colon becomes inflamed. DePasquale was also instructed to get ultrasounds and CAT scans every two months to monitor the growing tumor. As the tumor continued to grow, the doctors continued to tell DePasquale that nothing could be done at the moment and that they should continue to monitor the growth. 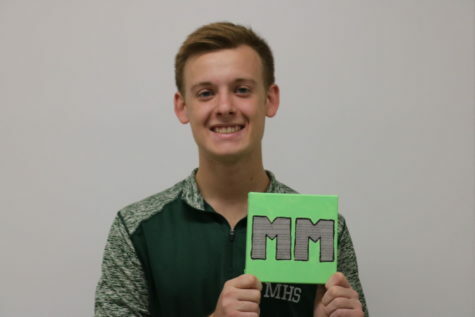 Around this time, DePasquale had become a junior and earned the position as the feature twirler on the Mehlville Majorettes for the 2017-2018 season. To become a feature twirler (almost like a team captain, but you perform some stunts in front of the crowd that the rest of the squad doesn’t), you must perform in front of judges and they decide who should take the role within the squad. Shortly after earning this position, things took a turn for the worse. “The next day when I came home from school, my mom told me that the doctor had called. They said that the tumor had doubled in growth in a two-month time period. The doctors didn’t understand what was going on. They also said that it could potentially be cancerous, which they previously said that it most likely wasn’t. I was 16 at that point and super scared,” said DePasquale. The following day, DePasquale went in for another scan and they told her that the tumor was very large and that they needed to remove the tumor within the next two weeks. “I had a baton competition that I had been working really hard for and it was a national qualifier. I understand that my health comes first, but I asked the doctors if there was any way to postpone the surgery. The doctors worked around the baton competition, and I was able to compete. Everything went really well and the competition and I qualified for nationals. But within the next three days, I had to go to surgery,” said DePasquale. The doctors said that since the tumor was so large, they had to remove DePasquale’s entire uterus as to avoid the risk of leaving behind a small piece of the tumor. “I was really sad because at only 16 years old, I was being told that I’d never be able to have kids. And at this point in my life, I had never even thought of anything like that,” said DePasquale. Right before surgery, the doctor finally had some good news for DePasquale. They said they had changed their mind and that they wouldn’t be removing her entire uterus. So DePasquale underwent the surgery and everything went well. When DePasquale woke up, they told her that the tumor ended up being a little larger than a softball. While recovering for surgery, DePasquale and her family learned that the tumor ended up not being cancerous. “It was the best feeling ever finding out the tumor wasn’t cancerous. But then once again, I received bad news,” said DePasquale. When visiting the doctor, DePasquale was concerned about when she’d be able to return to baton. At this point, it was early May in DePasquale’s junior year and football season was just around the corner. The doctor said that since DePasquale was young, she would recover pretty quickly, but she might not be able to return to baton for another eight months. “Due to my position as a feature twirler, I was devastated. If I had waited eight months to return to twirling, it would have already been the middle of my senior year. I worked so hard and it felt like everything was being taken away,” described DePasquale. DePasquale sat down with her coaches and described her situation to them. Then, her coaches suggested DePasquale to visit a physical therapist from Washington University. After meeting with this physical therapist, she told DePasquale that if she really dedicated herself and put in the effort, she’d be able to return to twirling within only two months. So DePasquale worked hard during physical therapy, which then lead to her recovering significantly faster, just as the physical therapist had said. After only two months of physical therapy, DePasquale was able to compete in nationals to her full capacity late July of that year. She earned a top ten placement in a solo competition and got sixth place in a duet competition.